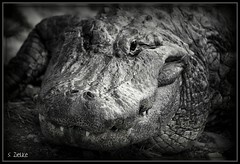 Florida Keys and the Everglades – See the Gators close up at Gator Park! We can’t bear heading straight home to our climate of snow and ice after spending weeks in the tropics. Having just finished off a 14-day adventure through the Caribbean islands and up the Amazon, we felt a short stay in the Florida Keys would help to ease the pain of transition. And so it did, in spite of the unusually cool temperatures.